Prosperity is guaranteed by God Himself revealed through His Word. Most Christians believe that God wants them to prosper, and rightly so. This is because in the Bible God tells us He not only wants us to prosper but also that He plans for us to prosper. Yet prosperity has eluded so many, not because of lack of desire but because of lack of understanding. In search of this dilemma, they look for Scriptures to guide them. They find that the answer is not found in one topic or one scripture but scattered throughout the Bible in over 1,500 Scriptures dealing directly with the subject. There are approximately 1,000 more dealing indirectly with prosperity in some form. My research has taken me through all of those Scriptures and put together an understanding that is easy to follow from one chapter to another, revealing in Scripture in such a way that answers any question you may be facing in your own life that may be preventing you from achieving true prosperity. There are many misconceptions and teachings on the prosperity doctrine that miss the mark and turn off many believers and nonbelievers alike. This book reveals the false teachings of prosperity and how to detect the difference at a glance. No matter where you are in your Christian walk there is something here for you. Remember, it is what you learn after you know it all that makes the biggest difference in your life. 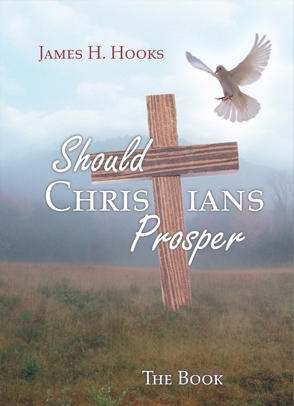 If you do not consider yourself a Christian, don’t let that deter you from reading this book. After reading this book, you may just want to become one. Don’t waste another minute. We know that God never lies, God never fails, and God truly wants you to prosper.